Enviropure WindowsBlogDesignIs It Time To Replace Your Windows? Any home improvements require time and resources, making the best use of both of these things means that you can spend more time enjoying your home! Your home should be where you go to relax, spend time with friends and family, and create memories. Being warm and comfortable in your home will affect just how enjoyable it is to spend time here. Cold winters and hot, humid summers can make relaxing in your home a challenge. That said, with the right windows not only will you save on heating and cooling bills, but your home will be even more comfortable. Whether you live in a historic home with ancient windows, or you just replaced them a few years ago and you are looking towards the future, read on to learn when it’s time to replace your windows. Enviropure Windows is Ottawa’s leader in window replacement. We offer customizable services and unsurpassed client care at competitive prices. If your home is more than fifteen years old, it is in your best interest to take a look at the state of your windows. You can start by doing a simple mechanical check. Are they opening and closing properly? Do they get stuck in their tracks? Do all the locking mechanisms function easily? Next, watch for moisture. Does condensation always seem to make it onto the interior of the windows? Another factor to have in mind is whether or not your windows are single pane glass. To put it simply, single pane glass windows simply aren’t as efficient as double pane windows. Single pane windows lose a significant amount of heating and air conditioning, which leads to higher than necessary heating and cooling bills. Single pane windows are also less effective at keeping out annoying noises. If you live on a busy street or near an urban centre, more modern windows can help significantly reduce the noise that makes its way into your home! 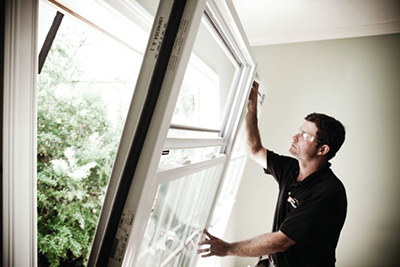 If the elements are making their way into your home, it’s time to replace the windows. This can happen for both newer windows that were improperly installed, or older less efficient windows. Storm windows are notorious for letting the elements get the best of you. Condensation and air are the two main culprits that you should be on the lookout for. Not only is leaking air and water annoying, but it can also lead to mildew and all the detrimental health consequences that mold can cause. 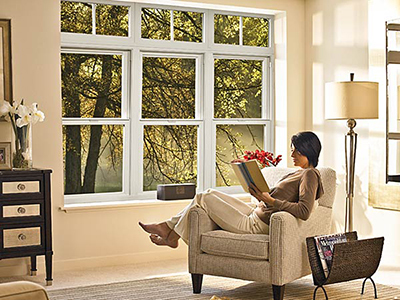 Enviropure Windows both installs and replaces windows across Ottawa and the surrounding area. We specialize in vinyl windows and offer a wide range of custom services. If you would like to schedule a complimentary consultation, contact a member of our team today!